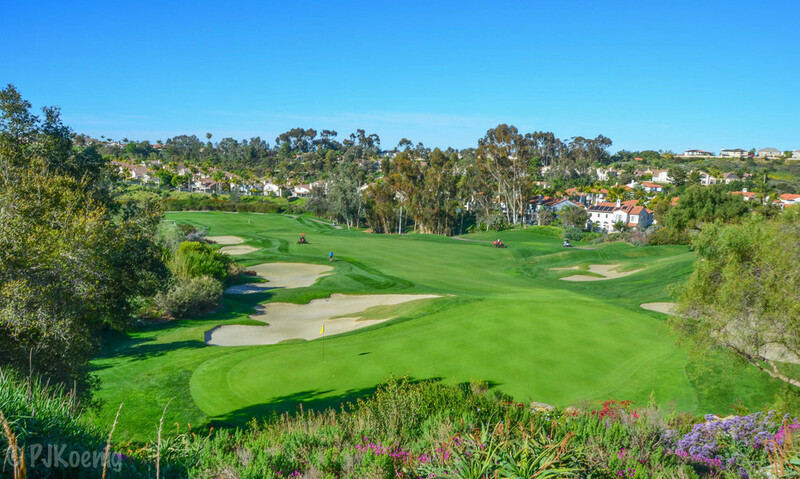 Aviara Golf Club - Carlsbad, CA — PJKoenig Golf Photography PJKoenig Golf Photography - Golf Photos For Those Who Love The Game. Located just outside of San Diego in Carlsbad, Aviara is one of the best championship courses in the area. The course is an Arnold Palmer design and hosts the LPGA Kia Classic each year. We actually bumped into Lydia Ko on the putting green as we warmed up for our round. The course itself is a lot of fun to play and I was particularly fond of the par 3's. The 18th is also an outstanding finishing hole that requires to great shots to reach a well protected green. On my first visit I limped in with a bogey, but carded a great score of 73.
if you have the chance before our after you round, get the waffles at the restaurant above the clubhouse. You can even sit out on the deck that overlooks the scenic 18th hole.